The Norton Shakespeare - Description | W. W. Norton & Company Ltd. 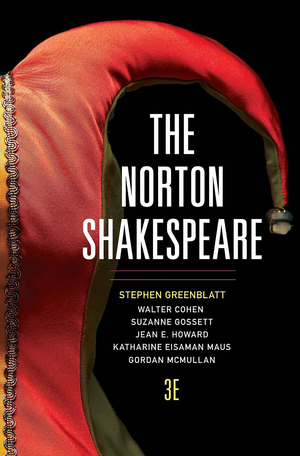 In both an enhanced digital edition—the first edited specifically for undergraduates—and a handsome print volume, The Norton Shakespeare, third edition, provides a freshly edited text, acclaimed apparatus, and an unmatched value. The Norton Shakespeare brings to readers a meticulously edited new text that reflects current textual-editing scholarship and introduces innovative teaching features. The print and digital bundle offers students a great reading experience in two ways—a printed volume for their lifetime library and a digital edition ideal for in-class use. Every play introduction, note, gloss and bibliography has been reconsidered in light of reviewers’ suggestions, and new textual introductions and performance notes reflect the extensive new scholarship in these fields. World-renowned Shakespeare scholar Stephen Greenblatt explores the playwright’s insight into bad (and often mad) rulers. Exceptional selections. Abundant teaching resources. Unparalleled value. The most-trusted literature anthology of all time, now in its 50th year. This much-anticipated Norton Critical Edition of Shakespeare’s best-known play is based on the Second Quarto, widely agreed to be the most authoritative early text. The text, with few departures, is that of the First Quarto (1598) edition of the play.